These 3 monkeys are irresistible, whether made from minkee, flannel or cotton! 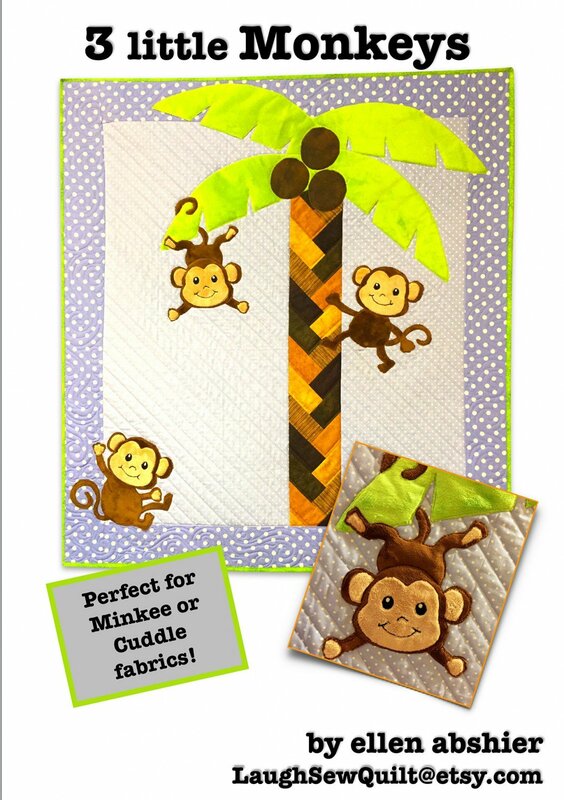 Monkeys are set on a whimsical background of polka dots with a simple to piece braid palm tree. The appliqued palm fronds and monkeys are not only adorable, but soft to the touch. Finished size is 41in x 45in.